Today i have a guest post from Danny over at My Parenting Journal about how to get your kids to do chores. Chores constitute a great part of everyday’s life. These are the daily tasks that adults and children alike embark on to keep life on track and in good progress. 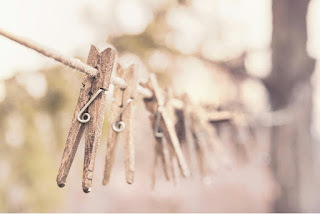 In simple words, chores are the activities that people do to make their lives live-able. However, to children, these activities may be seen as a punishment thereby making them less desirable. When your child seems to express resistance towards undertaking chores, it is necessary to correct him/her before it is too late. Chores can be used to impart unity and collective responsibility in children. Therefore, it is important to share with the child that these tasks are meant to make life smooth, comfortable, and efficiently running. Due to this, they need to be appreciated and taken positively as learning opportunities. Here are some proven tips that you can use to teach your child to do chores. Children seem to perform best when their parents have set boundaries for them and have clear expectations. When teaching your kids, you should set parameters that provide for successful completion and accomplishment of a specific chore. For instance, if you need your child to rake leaves in the backyard, you should set the timeline within which you want this task accomplished. When setting boundaries, it is necessary to clearly state how you need the task to be accomplished and also let your child know what your expectations on getting the job done are. For example, after raking leaves in the backyard, where should they be taken? Providing your child with complete details on how you want the task done goes a long way in tracking the progress made by your child. Consequently, this allows you to be in a position to correct him/her perfectly in case they go wrong. Parents require having an attentive ear to their children’s opinions. In line with this, as you are teaching your child how to do a chore, it is necessary that you listen to any opinions they may have as far as accomplishing the task is concerned. Your child may have a different strategy of doing a particular task. You should base your choice and instructions on the opinions of your child. The main aim is having your child do a certain task and the strategies/approached used should not matter much. Set a good example for your child to follow as far as handling a specific task is concerned. It is advisable that you do a chore alongside your child for a few times before letting them do it on their own. This provides them with an opportunity to watch and learn about how the task should be accomplished. If your child does not want to handle a task voluntarily, do not force him/her into doing it. Forcing the child may result in rebellion especially if they really hate doing that task. Instead, you should watch your child’s reaction to identify the tasks that he/she likes doing most as well as those that they really hate. If your child does not seem interested in doing a specific chore, you should let him/her know that there will repercussions for his/her behavior or if they do a shoddy job. As much as you do not want to force your child into doing something he/she does not want, it is important that they do not undermine your authority. Emphasize on them doing the designated task and ensure that you do not appear to force them to do the task. Children are greatly encouraged when they are rewarded for doing a chore in the best way they can. This goes a long way in motivating the child to handle the chore in a better and well-planned manner the next time they are doing the chore. You can use this opportunity to give your child an allowance as an encouragement and appreciation for good work. When rewarding your child, it is advisable that you only give appropriate rewards. For instance, if you opt to reward your child monetarily, you should ensure that the gift is appropriate for your child’s age. Otherwise, you can just use rewards such as play dates, dinner dates, and toys to reward your child for a commendable job. When delegating chores to your child, you should only assign them chores and tasks that are appropriate for their ages. For young children (2-4 years), you can assign light chores such as dusting, gathering dirty laundry and filling the food bowl of the family’s pet. For children within 4-7 years, tasks like making beds, watering plants, sweeping and folding towels are appropriate. For children over 7 years, you can assign them to a couple of chores around the house including sweeping, raking leaves, vacuuming, setting dinner table, and taking out trash among other chores. Generally, it is necessary to ensure that you delegate your child a chore that does not pose any healthy and safety hazard to them. It can be quite frustrating to both you and the child if you are unable to monitor the progress that your child has made towards accomplishing a specific chore. This is why it is required that you maintain a chore chart that highlights the chores done by your child within a specific timeline and how well the child has been accomplishing the chores over time. You can opt to outline the chores on a weekly or monthly basis depending on the frequency that seems to work best for you. At the end of every tracking timeline, you and your child should look at the progress made and identify areas that need to be improved on. This makes it possible to know how well your child is responding to the chores you assign him/her. Teach your child to have fun in doing a specific chore. Your child should have a mentality that the chore assigned to them is fun and exciting to accomplish. This will motivate him/her to handle the chore in the best way possible and adopt a responsible mindset. It is worth noting that this positive outlook on chores can greatly help your child in becoming responsible and hardworking in all aspects of life including schoolwork. Studies have shown that children who start doing chores at an early age grow up responsibly and are able to direct their energy and abilities towards doing activities with meaningful gain. It also goes without saying that a hardworking child who is able to handle different chores is very useful and helpful around the house and at home. Your children can save you the trouble of hiring a nanny or a house-help as the children can help you do most of the chores in the house. Do you ecourage your children to do chores?? ?